Attachment 5395I had to order Husky plastics for my 14' Berg because Acerbis doesn't even list the Berg. I would keep my old beat up Husaberg plastics rather than buy new Husky ones if they say Husqvarna. Keep it as it was meant to be. Not sure how well the Husaberg graphics would fit on the Husky plastics though. And putting Husaberg plastics on a new Husky is just plain ridiculous. Last edited by pollo; January 9th, 2016 at 11:38 AM. Last edited by PEI Mudder; January 9th, 2016 at 06:11 PM. I went with the Acerbis set due to the perfect fit they always have. I switch back and forth from the OE set and my Red Bull motif. I just ordered another full set of factory Berg plastics with the extra decals don't come with them. With huskatoomberg, you just never know how long the beautiful original stuff will be available. From whats out there, there is not a lot of choices for Berg graphic kits that I would even think about putting on my bike. Last edited by STUCKINVEGAS; January 11th, 2016 at 09:34 AM. I went with all blue plastic and yellow backgrounds plus an older 390 fender I got off ebay cheap, I hate the newer ones. Edit.. 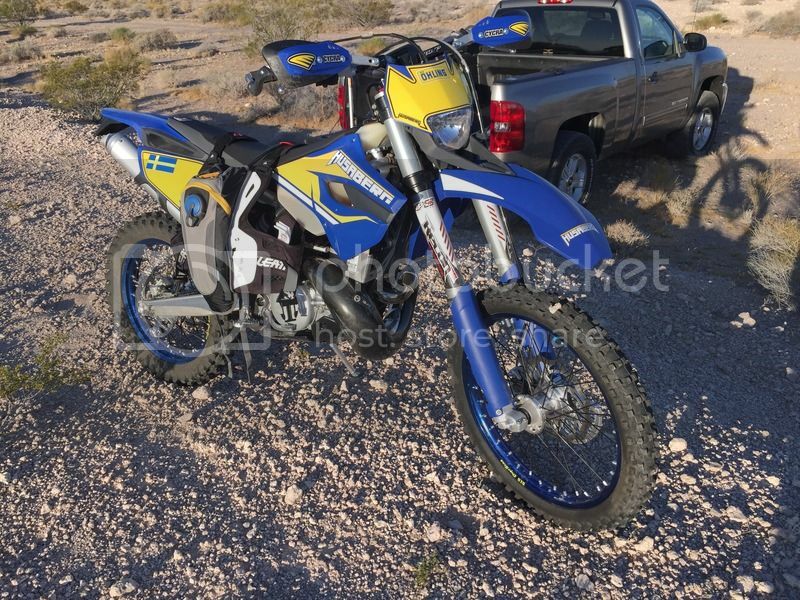 I meant It seemed rediculous to put Husaberg graphics on a brand new Husky. Let them. But why would anyone want to make it look like a Husaberg? A Husaberg looks like a 2012 and before. 13 and 14 Husabergs too. I won't take that from you. But by all means. Do love your motors Lol. Last edited by pollo; January 11th, 2016 at 09:34 AM. Go with Racetech Plastics, fit real good. hello guys, where can i get a mask plus headlight for a TE300 2013? i'm from europe, so some shop in eu would be better, transport from the us isn't cheap.